Chairman / President Chairs all KLAC committee meetings. Is responsible for all committee members and ensures their portfolios are effectively organised and completed as required. Secretary Receives and answers all correspondence. Prepares and distributes meeting agendas and minutes. Treasurer Receives and pays out money on behalf of the centre. Keeps proper records of all transactions. Prepares monthly financial statements for meetings. Registrar Receives and answers all registration queries. Maintains registration details for the centre. Distributes registration material from LAWA to clubs and issues registration numbers and tags. Championship Officer Responsible for entries into all LAWA, Inter-centre and KLAC special events. Organises all officials, protest officer and parent help for events conducted by LAWA. Attends Zones meetings. Records and Ranking Officer Produces results sheets for weekly competitions. Enters all manual results and checks results. Provides weekly and annual reports for the centre and clubs. Verifies records and maintains KLAC “Green Book” records and results. Awards Officer Co-ordinates and organises all awards for KLAC athletes and members. Assists the Records and Rankings Officer. Helps organise KLAC special events. Technical Officer Responsible for all electronic systems and equipment used by KLAC such as the domain name, email, social media, devices and computers. Ensures all electronic equipment is in good working order. Publicity Officer Promotes the sport and centre throughout the wider community using various methods such as social and traditional media. Fundraising Officer Seeks sponsorship opportunities and applies for grants and funding for the centre and clubs. Organises all fundraising activities. Controller of Officials Organises Officials for weekly KLAC competition. Organises education and training for Officials. Coaching and Development Officer Aids clubs with coaching and training structures. Organises education and training for Coaches and parents. 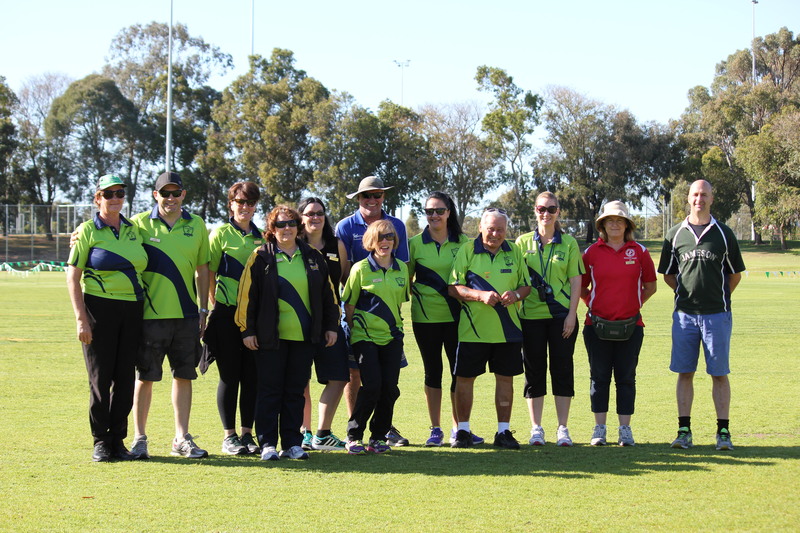 Selects coaches and co-ordinates coaching and athletes for LAWA State Relay teams. Chief Equipment Officer Ensures KSY has all equipment required for weekly competition and recommends the purchase of new equipment. Co-ordinates the supply and packing away of equipment to and from sites. Ensures all equipment is in a safe working order. Maintains a centre equipment asset register. Arena Manager(s) Prepares weekly competition program. Is responsible for the overall conduct of weekly competitions. First point of contact for Club Managers in relation to competition day issues. Liaises with chaperones and officials. Final verification of records. Track, Throws and Jumps Referees Ensures that the LAA, LAWA and KLAC rules of competition are being followed on sites. Verify records. Senior First Aid Officer Manages and co-ordinates the First Aid for the centre. Collates and updates health action plans for athletes and at risk members and any incident reports. Office Manager Organises all office supplies required for weekly competition for officials. Co-ordinates recording volunteers, uniform sales and purchases. Ensures office is fully stocked with required supplies such as amenities and stationery. Identifies and reports safety hazards. Co-ordinates all cleaning. Maintains and keeps a record of WWC and Police Clearances. Winter Officer Co-ordinates the Winter Cross Country and Road Walking season for the centre.